James Bond is back - again! 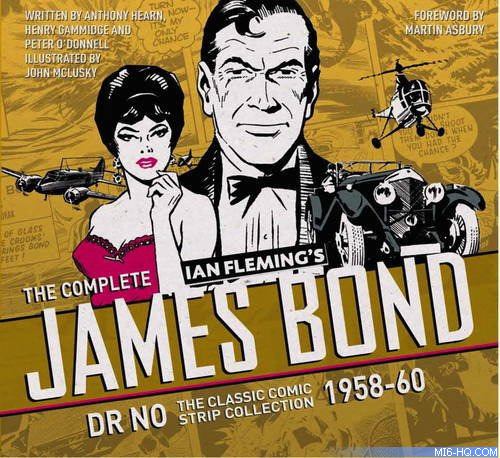 Titan Books are republishing the classic James Bond newspaper comic strip adventures in hardback compendiums. The first volume runs from the series debut in the Daily Express in 1958 through to 1960 taking in six adventures: Casino Royale, Live And Let Die, Moonraker, Diamonds Are Forever, From Russia With Love and Dr. No. These fully restored and thrilling stories are based on the original Ian Fleming James Bond novels. Martin Asbury provides the introduction.